We suspected this was in the works when they announced that the original Diablo was being released on GOG.com, and now it’s official — both the original Warcraft: Orcs and Humans and its sequel Warcraft II are now available digitally on GOG.com, just in time for Warcraft’s 25th anniversary. It should be pointed out that these are not remasters. 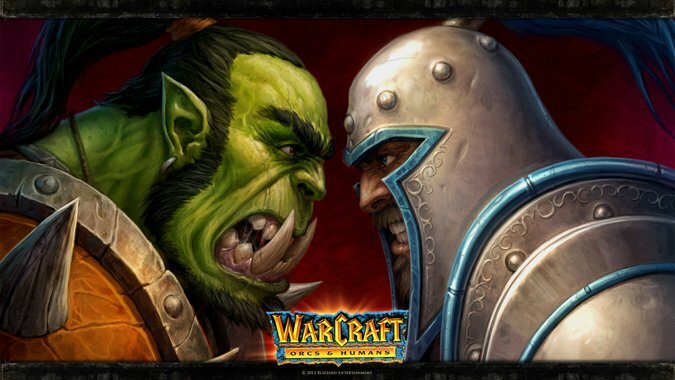 The version of Warcraft I available has been optimized to run properly on modern computers, but it’s not going to look modern or play significantly differently, and the release of Warcraft II will have two versions. One will be the classic release with Battle.net matchmaking, while the other will be slightly enhanced with HD support but will also not be a graphical overhaul. Think of these as re-releases, not remasters or remakes. They’re changed enough to make sure they work — not enough to give you a whole new experience playing them. Indeed, the whole point is to give you as close as to the original game experience as possible. However, the GOG edition of Warcraft II will not allow Battle.net matchmaking, so if you want to do your multiplayer Warcraft II and still get the bug fixes and quality of life changes made to the game, you’ll need to connect via LAN or P2P. It’s nice to see the old games get a slight touch-up, and I’m hopeful that when Blizzard says they’re working with GOG on other classic games that they’re talking about Diablo 2. Then again, with Warcraft III Reforged coming out maybe I should hope D2 doesn’t get the GOG treatment and instead goes for a full-on remake. As much as I love the chance to go back and play these games, I find the state of the art in graphics has moved on so much from these days that it can be distracting. Remember, Warcraft I is a 25-year-old game, and even with HD support, there’s only so much you can really do about all that. Head on over to Blizzard’s official announcement and get the whole story on their latest collaboration with GOG, and start daydreaming about that Blackthorne digital re-release.